Clearance(mm): 28 Horz. x 34 Vert. The CP60 high security padlock, combines a modern and attractive design with very heavy duty construction offering the best in durability and resistance to attack. If features a hardened steel 10mm diameter shackle, a 60mm wide die cast alloy lock body with dual compound cover and 5 easy to use spaced wheels. 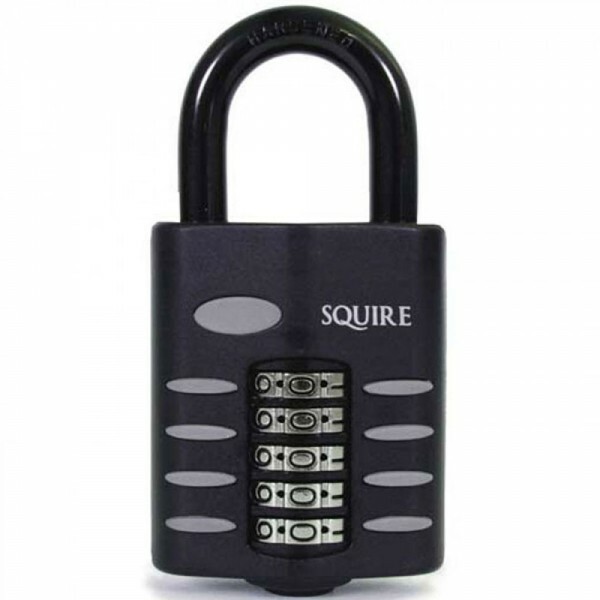 These robust recodable combination padlocks deliver heavy duty security, and there are no keys to lose. The die cast alloy lock body has a dual compound protective cover for high corrosion resistance and excellent weather protection. It's unique recodable double locking mechanism offers 100,000 combinations and has a push button spring opening mechanism for ease of use. The CP60 is available in open shackle, closed shackle and extra long shackle variants. Recommended for use on Gates, vans, large sheds, garages and commercial buildings.